The Geelong line is gaining a $4.4 million dollar update to help daily commuters and passengers from Geelong have a more comfortable journey. Renovations and upgrades for the V-Line and the Melbourne Metro are continuing across the network and are ensuring up to 1000 temporary positions at any one time. However the efficiency of the replacement buses leaves a lot to be desired. With buses taking questionable routes, refusing desperate passengers, and displaying rudeness to paying customers on the Geelong line, people are irritated as delays stretch out longer and longer. On top of this, commuters are getting to work up to an hour late due to heavy peak hour traffic usually avoided by using the train. 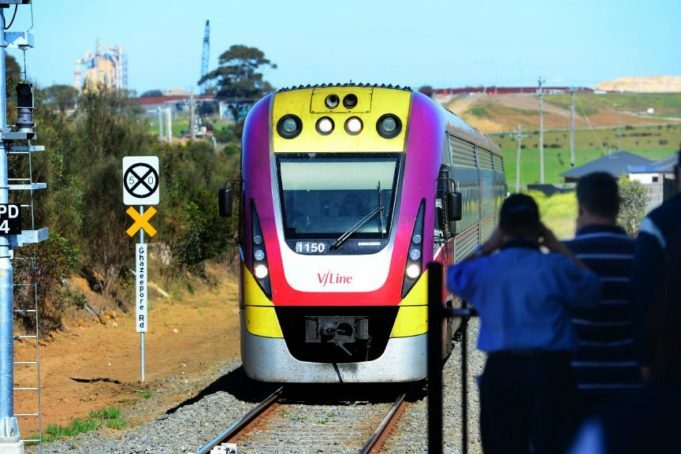 The Geelong line has experienced a myriad of problems in the past, as it has been missing punctuality targets for almost two years in a row prior to the upgrades. The State Government are trying to get the overdue upgrades done in as short amount of time as possible, as the delays for commuters hit fever pitch. The delays are intended only to last to a maximum of 10 days. In true Victorian fashion, the trains should be available to ride to the MCG for the classic Easter Monday clash between Hawthorn and the Geelong Cats, so footy fans will be able to get to and from the game with relative ease. Faults, such as signalling and delays caused by sharing of tracks with Metro lines, are just some of the reasons for the long wait times passengers have been experiencing before the upgrades. However, these are being vigorously worked on, with a team on the job around the clock to ensure that the updates will be completed by the agreed time. The replacement buses have not been up to standard for regular passengers, considering the amount of works across the City and Regional networks. The buses have been unreliable, infrequent and uncomfortable, sometimes with too many passengers being shoved into one bus, and on the other hand practically empty buses being ordered to go, leaving passengers stranded for over an hour to wait for the next one. This is not the first time the Geelong line has had problems, as continuing delays frustrated commuters on an almost weekly basis in 2016. It is hoped that by the time these upgrades are completed, there will be a cessation of signalling faults on the Geelong line altogether. Including multi-line issues, such as: people and cars on the tracks; accidents, and emergencies, the Geelong line is still less punctual than it should be. Every regional line is also currently being assessed for future level crossing removals as part of the Regional Network Development Plan (RNDP) . Commuters and passengers are continuing to experience these short-term delays and frustrations, however the State Government is working hard to get these upgrades completely finished by the end of the Easter break.